This special and luxurious trim is inspired by the Numéro 9 concept revealed at the 2012 Beijing Motor Show. 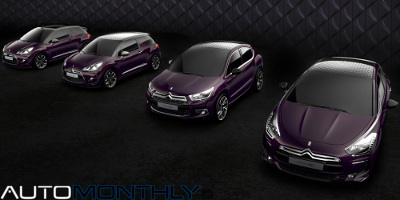 It only includes cosmetic changes, but it does give a more premium look to the DS3, DS3 Cabrio, DS4 and DS5. The obvious change is the new body color called “Whisper”, which is a mixture of deep black with subtle purple nuances.